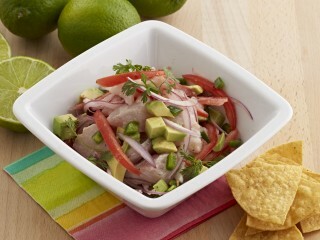 Don't you dare to go through the summer with out trying this refreshing Mexican Style Ceviche recipe by Chef Michelle Bernstein. It's simple, healthy and delicious! Cut the fish in ¼ - ½ inch pieces and place in a medium size bowl. Add the salt and mix. Add the lime juice and Serrano pepper into the fish, place in a cooler. Heat the oil in a sauté pan on medium heat, add the garlic shaking the pan until golden brown, immediately remove the garlic from the pan onto a paper towel and allow the garlic and oil to cool to room temperature. Remove the ceviche from the cooler. Mix in the tomato, onion, cilantro, 1 tablespoon of the cooled oil and the garlic chips. Season to taste with salt if necessary. 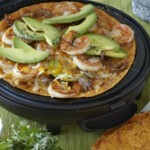 Top with diced avocado and serve with tortilla chips. 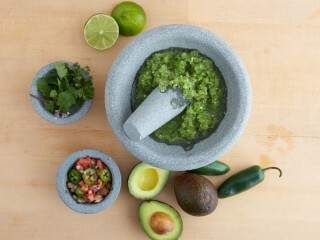 If you like Mexican cuisine, you will love this Salsa Verde recipe!. This green sauce is frequently used as a dip for tortilla chips and served with tacos, grilled pork, grilled meats and even fish! Combine the vinegar, jalapenos, garlic and bay leaves in the blender jar and puree until smooth. 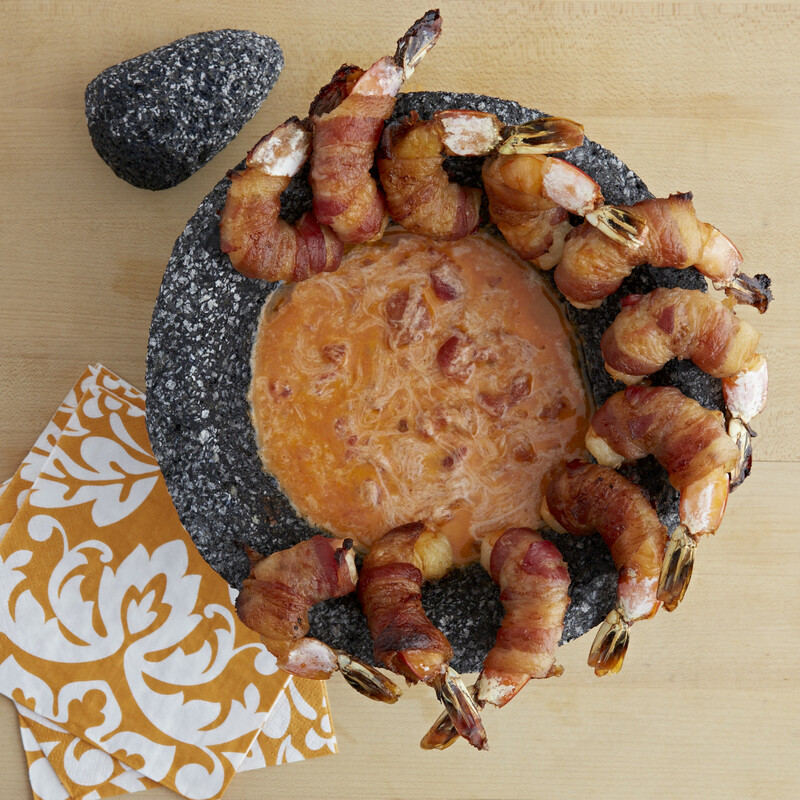 Strain through a fine-mesh sieve into a bowl or a Molcajete. Stir in the herbs. Pour the olive oil in slowly and steadily, whisking the whole time. Season with salt and pepper to taste. Chef Aarón Sánchez shares with us this delicious dish prepared with manila clams and the traditional "Salsa Verde" made with jalapenos and chile serrano that will spice up your taste buds! Combine the olive oil and garlic in a sauté pan. Put the pan over medium heat and cook, stirring often, until the garlic is golden brown, about 5 minutes. Be careful not to burn the garlic. Add the clams and cook for 2 minutes. 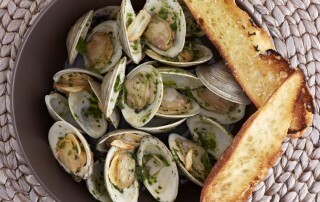 Add the wine and clam juice, shake the pan gently to combine the juices and cover. After 3 minutes, remove the lid and gently stir in the Salsa Verde until it’s mixed in thoroughly with the clams and the liquid. Cover again and cook until the clams have opened, about 3 more minutes. Discard any that haven’t opened after 5 minutes. 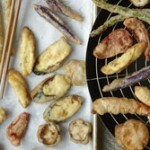 Season with salt and pepper to taste.Serve in bowls with grilled bread. Combine the vinegar, jalapenos, garlic and bay leaves in the blender jar and puree until smooth. Strain through a fine-mesh sieve into a bowl. Stir in the herbs. Pour the olive oil in slowly and steadily, whisking the whole time. Season with salt and pepper to taste. Borracho means drunk. 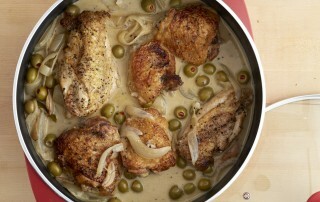 Having said that, get ready to drunken your pollo with white wine and tequila! This delicious recipe from our Chef Aarón Sánchez will definitely make your taste buds feel alive! Season chicken with salt, pepper, and oregano. In the jumbo cooker, heat olive oil and brown chicken pieces on all sides. Remove chicken from pan and set aside. Reduce heat, add onion and garlic, and cook for 5 minutes. Add the bay leaves, wine, tequila, and olives. Return chicken to the pan, cover, and cook in the oven until tender and browned, about 40 to 45 minutes. Remove and serve. Chilly outside? Defeat the winter with this healthy bone-warming soup from our Celebrity Chef Michelle Bernstein. Get your IMUSA Caldero ready and start cooking! Place the oil in a caldero and heat on medium-low. Add the onions, garlic and tomatoes and cook until the onions are soft, about 10 minutes. Add the green pepper, chicken, chicken broth or water and season with salt and pepper. Raise the heat to high, bring the broth to a boil then lower the heat to a simmer and cook for 30 minutes. Add the plantains, yuca, corn, pumpkin, chayote and saffron, and simmer for 30 more minutes. Remove the chicken and set aside to cool. Pour about 2 cups of the soup, with vegetables, the cilantro and the chili into a blender and puree then pour back into the pot of soup. 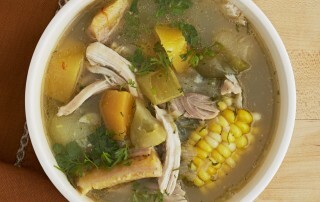 Shred the chicken, discard the bones and add the meat back into the soup. Heat through and add the lime juice just before serving.